How are technological innovations affecting workforce development? 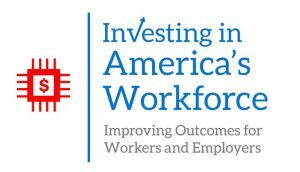 This chapter of Investing in America’s Workforce: Improving Outcomes for Workers and Employers examines the lack of digital access among low-income and rural communities and concludes that workers require a new kind of employment preparation and access to lifelong training. 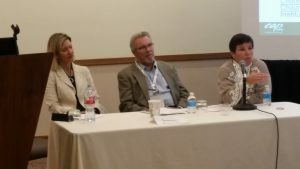 CAP Tulsa’s CareerAdvance® and San Antonio’s Project QUEST were featured in a Center on Budget and Policy Priorities (CBPP) poverty and inequality report published online on April 24, 2018 titled “Promising Policies Could Reduce Economic Hardship, Expand Opportunity for Struggling Workers” which details promising practices for reducing economic hardship. The report, written by CBPP’s Senior Policy Analyst Tazra Mitchell, can be viewed here. The Ray Marshall Center has had an ongoing partnership with CAP Tulsa and Northwestern University (as well as partners at NYU and Columbia) to evaluate a sectoral, career pathway workforce strategy for the parents of young children in high-quality early childhood education in Tulsa. Center researchers led a team that designed the strategy in 2008-2009. You can view the details of the partnership here. In addition, Ray Marshall Center researchers (the late Bob McPherson and Brian Deaton) worked with COPS/Metro to design Project QUEST in San Antonio in the early 1990s; the design report can be accessed here. In 1995, QUEST was recognized with an Innovations in American Government Award by Harvard University. Over the past twenty-five years, the sector strategy design that began in San Antonio spread to other communities as part of a concerted effort by the Southwest Industrial Areas Foundation network and includes Capital IDEA in Austin, VIDA in the Lower Rio Grande Valley, and ARRIBA in El Paso. The Ray Marshall Center has recently entered into a partnership with Economic Mobility Corporation, Inc. to build on their evaluation of Project QUEST. You can view the details of that partnership here. 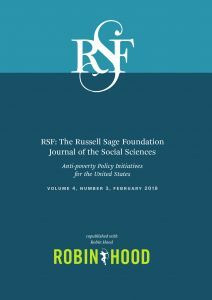 RMC Senior Research Scientist Dr. Chris King was part of a group that authored a paper titled “A Two-Generation Human Capital Approach to Anti-poverty Policy” that has now been published in The Russell Sage Foundation Journal of the Social Sciences. The paper was published online in the February 2018 special issue on innovative anti-poverty interventions and was co-authored by Teresa Eckrich Sommer (Northwerstern University), Terri J. Sabol (Northwestern University), Elise Chor (Temple University), William Schneider (Northwestern University), P. Lindsay Chase-Lansdale (Northwestern University), Jeanne Brooks-Gunn (Columbia University), Mario L. Small (Harvard University), Hiro Yoshikawa (New York University), and Dr. King. In the paper, they propose a two-generation strategy to improve the economic fortunes of children in the United States. With CAP Tulsa’s CareerAdvance® program as a prototype, they suggest a competitive grant program to test and evaluate different models using federal dollars. They estimate average benefit-cost ratios across a range of promising career fields of 1.3 within five years and 7.9 within ten years if 10 percent of Head Start parents participate in two-generation programs. You can read the paper here (issue 4(3), pp. 118-143). The Ray Marshall Center has an ongoing partnership with CAP Tulsa and Northwestern University to create a sectoral, career pathway workforce strategy for the parents of young children in early childhood education in Tulsa that began in 2008. You can view the details of the partnership here. The United Nations Research Institute for Social Development (UNRISD) has issued their December 2017 Project Brief 18. The case study detailed in the brief is part of the UNRISD research project New Directions in Social Policy: Alternatives from and for the Global South and investigates the root causes of persistent youth unemployment in the selected Middle East and North Africa (MENA) countries and examines the steps being taken by national and international actors to address these challenges. RMC Director and Research Scientist Dr. Heath Prince is a collaborating member of the research team along with former RMC alum Amna Khan and Yara Halasa of Brandeis University. You can view the brief here. In a December 5th session titled Launching the Workforce: Head Start’s Success in Families’s Careers, Chris was on a panel led by Scott Groginsksy of NHSA along with Dr. Cindy Decker, director of Innovation Labs at CAP Tulsa, and Candee Melin, Director of Child Services at Parents in Community Action, Inc (PICA). You can learn more about the session here, and you can view Chris’s presentation here. After 26 years, Dr. Chris King retired from teaching in June 2017. An esteemed member of the faculty, Chris made a meaningful impact on the LBJ School of Public Affairs, becoming a professor who many alumni readily associate with LBJ. In his time there, Chris was committed to many activities related to the student experience, including recruitment and retention, academic advising, counseling, and new student orientation. 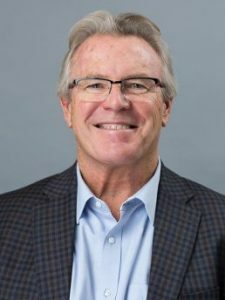 Having served on dozens of academic committees, he also pursued both internships and career placements for many of our students over the years. An accolade to his teaching, he received the Texas Ex’s Teaching Award in 2007. Chris was not only an outstanding professor, but also a widely-recognized scholar who has researched workforce, education, and social policy for more than four decades. His contributions to academic literature include book chapters, reports, and peer-reviewed journal articles. In 2012, Chris was selected as one of 20 national leaders in the Aspen Institute’s inaugural class of Ascend Two-Generation Fellows in part for his work designing CareerAdvance, an award-winning anti-poverty program. He received other notable distinctions while at the LBJ School, including serving as the Mike Hogg Professor in Urban Management from 2003 to 2013 and received both the Staff Appreciation Award (2001) and the Dean’s Staff Excellence Award for Research and Commitment to Teaching (1994). Following the retirement announcement in June, a farewell celebration was held on November 13, 2017. Chris will continue his research on workforce development and two-generation strategies at the Ray Marshall Center, where he served as director for eighteen years until 2014. RMC Research Scientist Daniel Schroeder was invited to attend the Roundtable for Building the Next Generation of Child Support Policy Research held on October 17-18, 2017 at the Holiday Inn Capitol in Washington, DC. 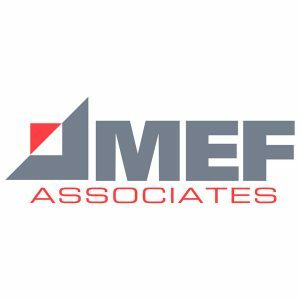 The invitation-only event was hosted by the Office of the Assistant Secretary for Planning and Evaluation (ASPE) in the US Department of Health and Human Services and MEF Associates and explored key child support policy research questions. Given Daniel’s experience and expertise, he was identified as an important contributor to the goals of the roundtable. RMC Director and Research Scientist Heath Prince, along with Social Science Research Associate Ashweeta Patnaik, participated in two panel discussions during the American Evaluation Association’s annual conference Evaluation 2017: From Learning to Action held in Washington, DC, from November 6-11, 2017. The first discussion, held on November 9th, dealt with quasi-experimental approaches, challenges, and lessons learned from impact evaluations of TAACCCT grants. The second discussion, held on November 10th, dealt with using monitoring and evaluation (M&E) data to evaluate the impacts of Nuru International’s integrated and holistic international development model. Several Nuru representatives also participated in that discussion.